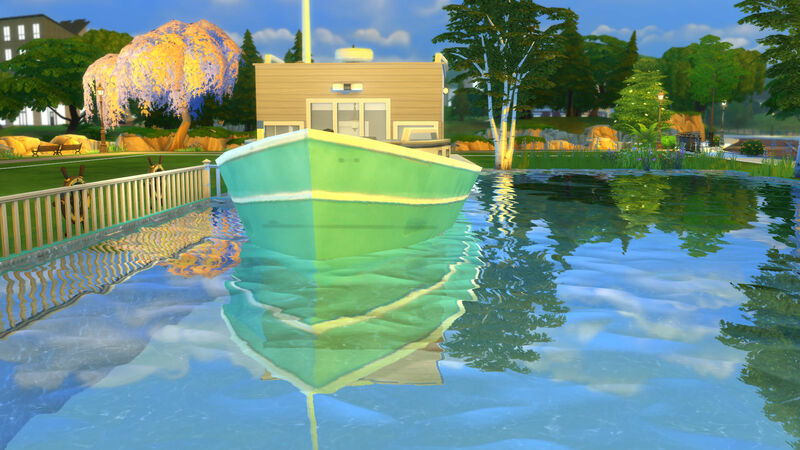 The fishing town EA created for the Cats and Dogs expansion made me long for the houseboats in the Sims 3 and the sense of freedom life on the water gave my game. 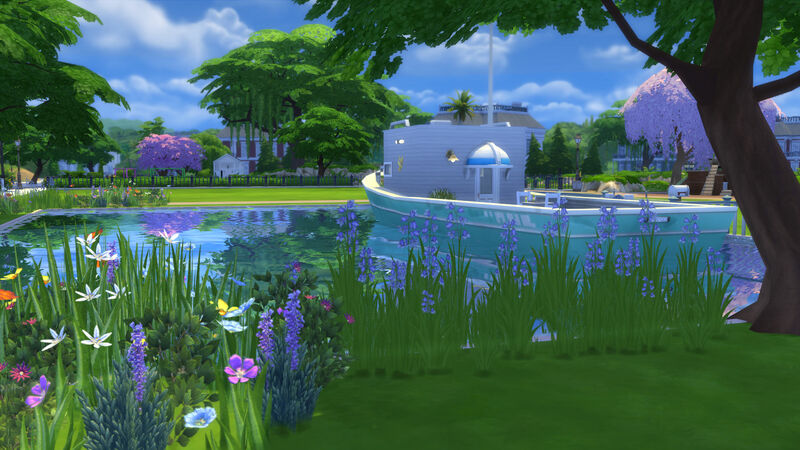 The fishing boats in the new town served as my models, and from them I created a Houseboat Shell that puts the boat back into houseboat building. 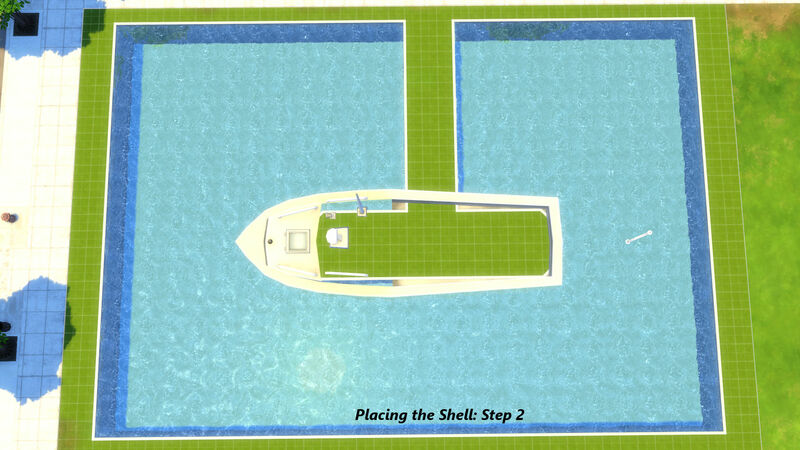 Houseboat Shells come in three colors: brick red, deep sea blue and turquoise waters. 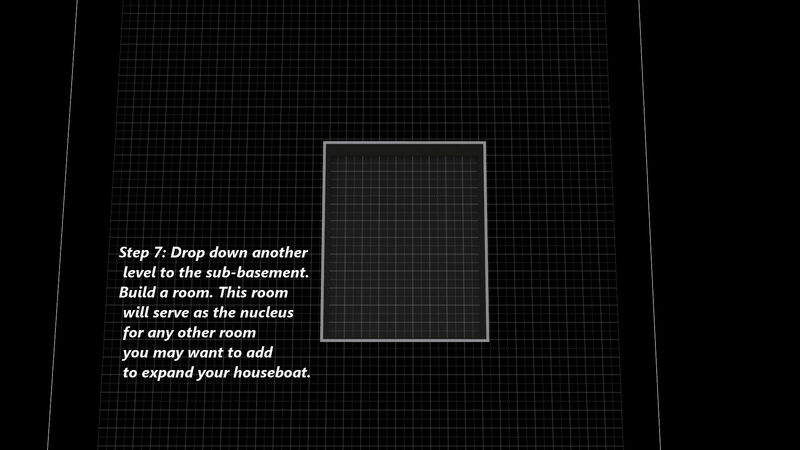 They float on water like a real boat and will not fade away in close-ups. 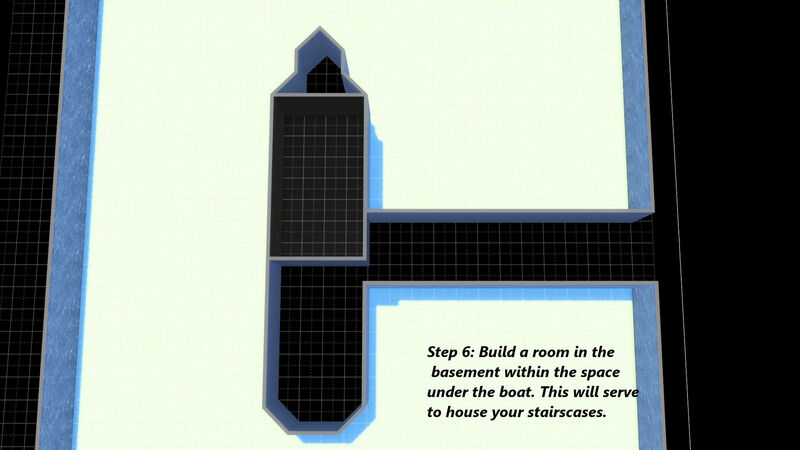 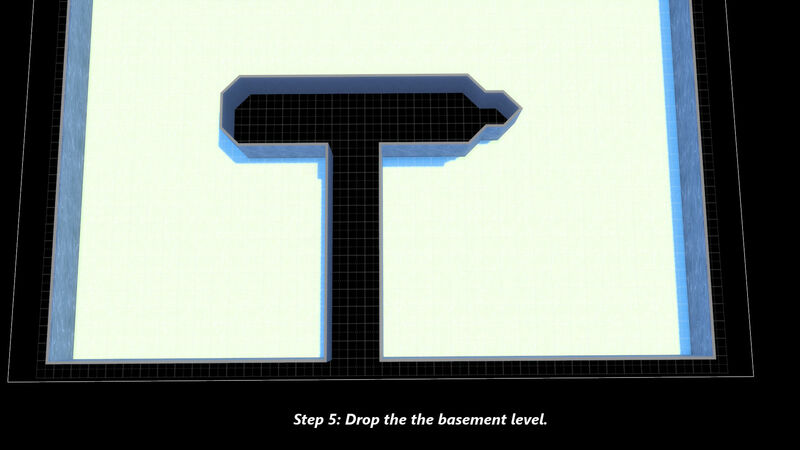 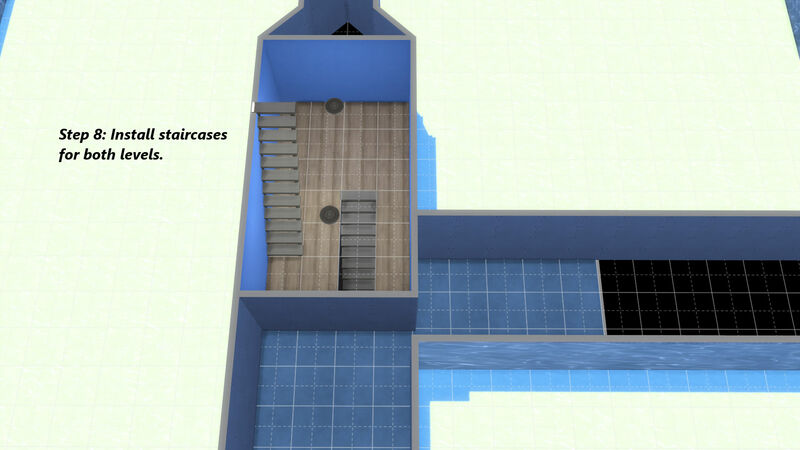 Sims will also be able to walk through the walls without needing a door provided that after adding your perimeter low wall ( see images above) you leave an opening for them to board through. 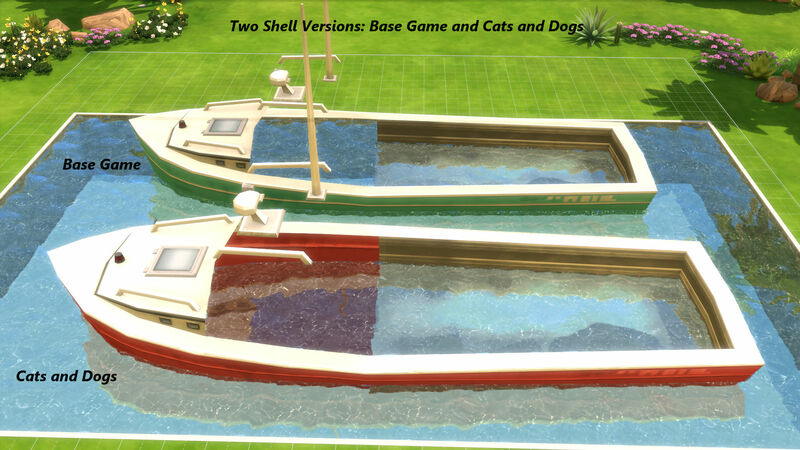 Houseboat Shells come in a Base Game Version and a Cats and Dogs version. 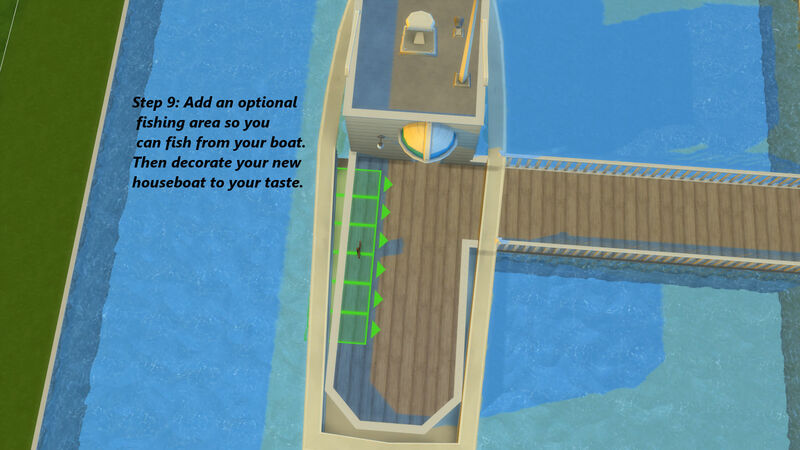 They vary only in minor details that once you finish your boat will be hardly noticeable. 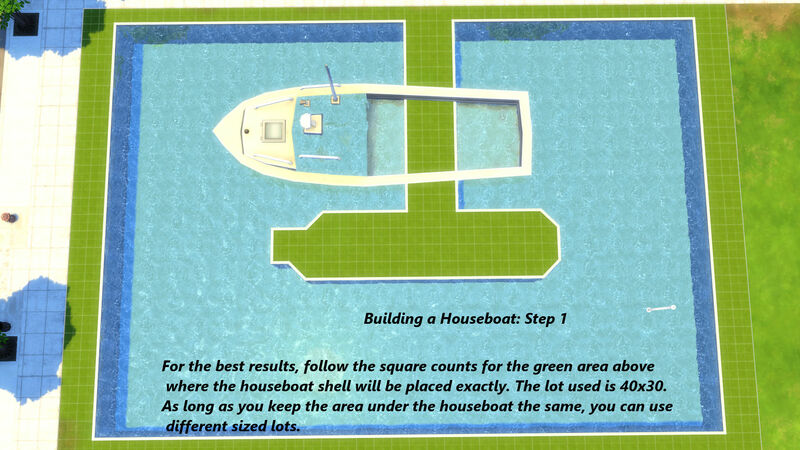 As putting together a houseboat the first time can be challenging, I have included step by step instructions and visuals on how to build your houseboat (see images above). 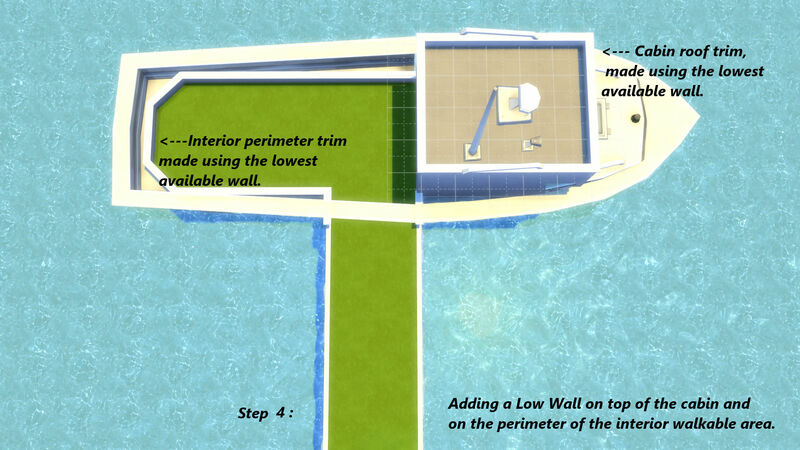 Using the dimensions depicted in the images will simplify the process greatly. 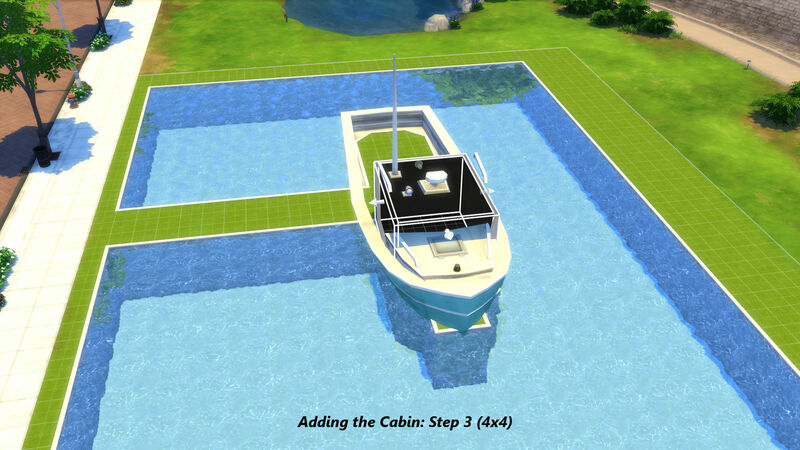 Though the sample houseboat was created on a 40x 30 lot, feel free change the lot size. 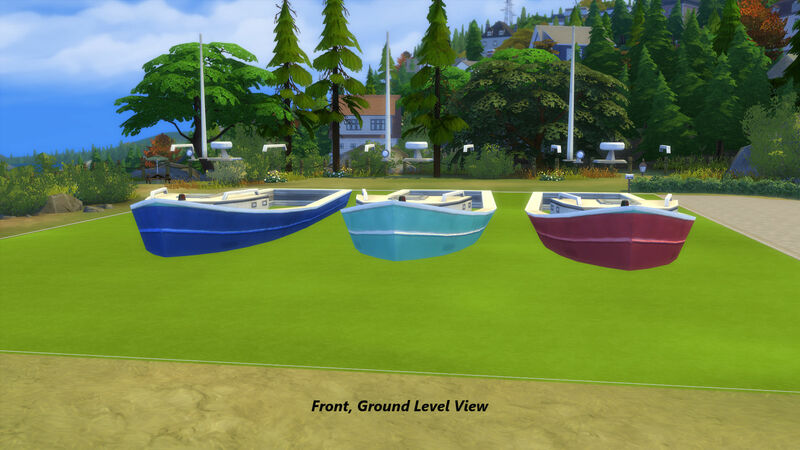 For those who would rather get straight to playing, I will also be uploading a ready-made Houseboat Lot using these houseboat shells. 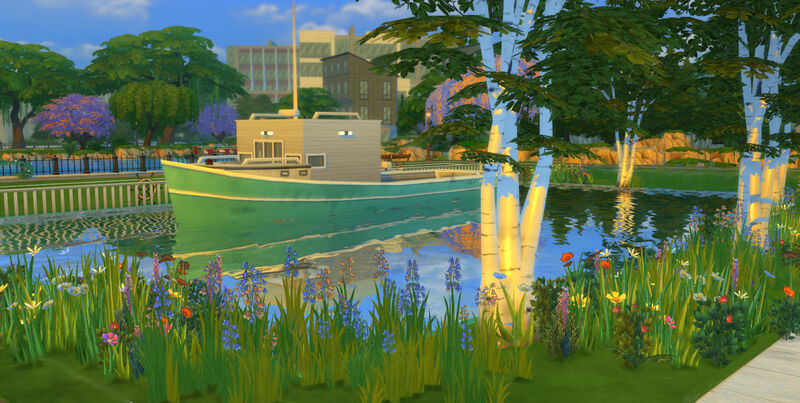 Both Versions of Houseboat Shells are located in the Decorative section of the build catalogue under sculptures. 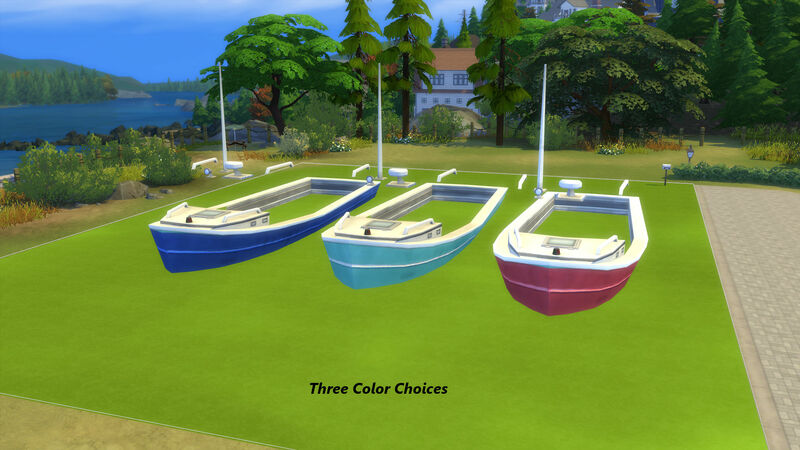 Recolors and mesh edits by me.